Protect your home against the dangers of Radon gas. Let a Radon mitigation specialist help you determine the Radon abatement needs existing inside your home. Many people through-out Aurora, the Greater Denver Metro and many surrounding areas in Colorado have been trusting Affordable Radon, LLC for years! Our locally owned and operated company offers competitive rates on the following services: Radon Abatement/Mitigation, Radon Gas Testing Services, Radon System Inspections, Vapor Barrier Crawl Space Sealing, Crawl Space Insulation, Sump Pump Installation, Sump Pit Excavation, & Drain Systems. 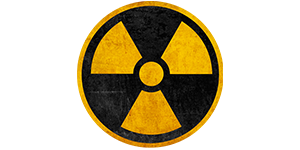 Radon is an odor-less radioactive gas which is produced by the natural breakdown of uranium deep underground… Learn More! Affordable Radon, LLC is a unique Radon Abatement/Mitigation company that works with their customers in deciding what is best for them and their individual needs; whether testing for Radon levels, installing a Radon mitigation system, crawl space vapor barrier or a sump-pump. Our expert staff based out of Aurora, Colorado, will help guide you through the process, giving you sound advice tailored to your specific needs for Radon Abatement/Mitigation to make your home safe. We offer each of our customers a “Free – No Obligation Quote” over the phone or a “Free On-Site Bid” where a member of our team will come to your home and show you placement options for you to choose from. We follow-up our quotes and on-site bids with written proposals sent directly to you. This allows you as our customer to feel comfortable knowing you have all the information needed to make the right choice. Let’s not forget the most important part… Our Radon mitigation systems are high quality and affordable! *Call us for all guarantee/warranty details. Our specialty is working with agents on real estate transactions where radon mitigation is needed. I have been working with Affordable Radon since 2011 and continue to refer them to all my clients. I have lost count as to how many. I always follow up with my clients after Affordable Radon is done. They are always happy. In the Real Estate business we are constantly giving referrals to our clients and as I like to say “A referral from me is a reflection of me.” Affordable Radon continues to make me look good. Keep up the great work! Affordable Radon is a rare company that does a quality job the first time. Very easy to deal with and does what they say they will do. I would recommend this company to anybody. Great job guys! These guys were true to their word, came back multiple times to make sure our readings were below 2.5. It took some extra work as our readings before mitigation were in the 15 range. Would recommend them to anyone.